In terms of the city of Murphy, it’s key that the area stays the same, growing but still familiar in the way we all love. This area, located in Collin County, has roots in the way North Texas has always been. It’s a comfortable community that remains in close proximity to Dallas. But because it is a community with families, children are coming home from school and bringing lice with them. To combat the growth of lice in your Murphy home, we have the solution. Murphy lice treatment can be easy and effective if you have the right solution. We suggest our all-natural formula here at Lice Lifters DFW. Our treatment center in Frisco provides this in-depth effective solution. We issue the treatment and make sure the family goes home with the appropriate continued follow-up care. If the whole family is treated, then the pest problem – and the presence of lice and nits – should be gone. This is all determined by thoroughly following protocol. Children have nothing to fear about their appointment at Lice Lifters Treatment Centers. Our lice treatment is effective and completely safe. We have used the same techniques on our own children! The products we use contain no pesticides. The same cannot be said about drug store products. 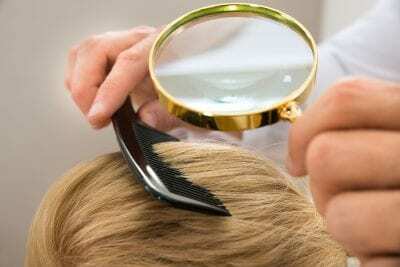 Your average head lice infestation typically begins with children. Children are often in close contact, which spreads the eggs and adult lice with ease. Once your child has head lice, they may spread it throughout the house to the entire family. Luckily, treatment is simple. 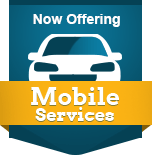 Call to schedule an appointment with Lice Lifters Treatment Centers in Murphy! Treatment should never take too long. At Lice Lifters Treatment Centers, you’ll be in our office for one treatment. That’s it. After that treatment, follow our detailed at-home instructions and you’ll be lice-free. That’s a guarantee that we stand behind. Everyone wants the itch gone, but don’t take matters into your own hands. Trust the professionals at Lice Lifters Treatment Centers for safe, all-natural treatment solutions. We all want a permanent solution to the discomfort and itch of head lice. These little bugs cause so many problems, despite their small size. The treatment you’ll receive at Lice Lifters Treatment Centers is permanent. We utilize our non-toxic treatment solutions, combined with thorough head-check and comb-out session. After just one in-office treatment, we guarantee lice will be gone for good. Call us today to schedule lice treatment in Murphy! When it comes to creating the perfect home and comfort in Murphy and a nice lifestyle for your family, you would do anything possible to keep every member safe and healthy. Even though school can bring its own germs, leave the Murphy lice treatment to the professionals at Lice Lifters DFW. We don’t make light of lice. We’ve been in your shoes before and we understand the value in non-toxic lice treatment that works straight to the source.